The following are just a handful of good places in Wales in which to look for orchids - there are myriad other locations to explore, and orchids often crop up where you least expect them. For more suggestions, take a moment to visit the Wildlife Trusts' website (see Useful Links) and use thier interactive map to explore their reserves near to you. A particularly orchid-rich National Nature Reserve, Kenfig is notable for its population of Fen Orchids and, amongst many other orchid species, hosts a small number of the neerlandica subspecies of Broad-leaved Helleborine. Magnificent dune systems are found here with a range of marsh orchid species, including the blood red coccinea subspecies of Early Marsh Orchid, and Marsh Helleborine, Bee and Pyramidal Orchids. This magnificent limestone headland is of particular interest for its population of Dark-red Helleborines; later in the year it also hosts Autumn Lady's-tresses. 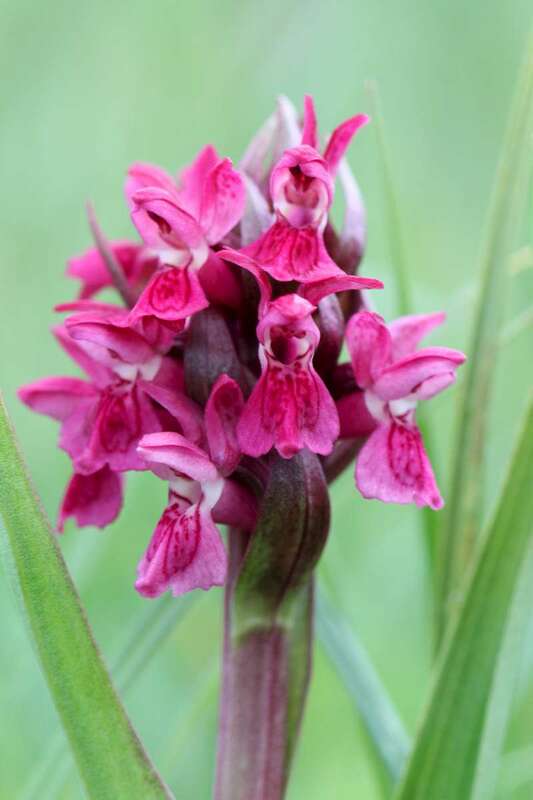 An excellent nature reserve with a wide range of orchid species to be found upon its grassland, fen and heath habitats - Early Purple, Early and Northern Marsh, Green-winged and Lesser Butterfly Orchids, and Marsh Helleborines.